Uni-TecModel 300-S flow switch features the use of a hermetically sealed proximity switch, permanent magnetic field and paddle for bi-directional operation. 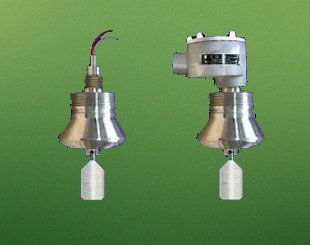 The entire detector assembly is housed within stainless steel and is pressure balanced without the use of any dynamic seals. It is designed for installation above and below grade. It may also be adjusted or serviced under pressure conditions. Utilizing stainless steel components and assembled by means of welding, the switch housing and paddle assembly once installed and properly adjusted are virtually service free. Simplicity in design is the key to the reliability of the KIDD Model 300-S Flow Switch. As the line flow begins, the paddle moves the cam upward raising the magnetic field into the immediate vicinity of the proximity switch. The switch, housed in the calibrated tube, upon being influenced by the magnets closes completing the electrical circuit. As the flow ceases, the paddle and cam return to their static position; thus, allowing the switch to open. Each flow switch and base are provided with alignment marks for proper alignment of the paddle to the flow. The switch assembly is hydrostatically tested at the factory to a minimum of 3000 psi. Higher test rating available upon request.